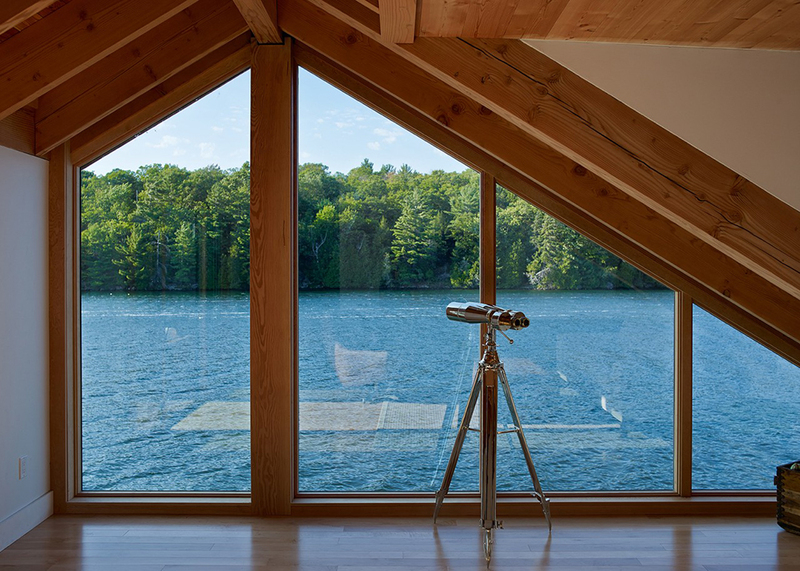 Toronto-based Altius Architecture took inspiration from traditional Canadian Muskoka Lake boathouses to build this stunning, tranquil retreat in upstate New York. 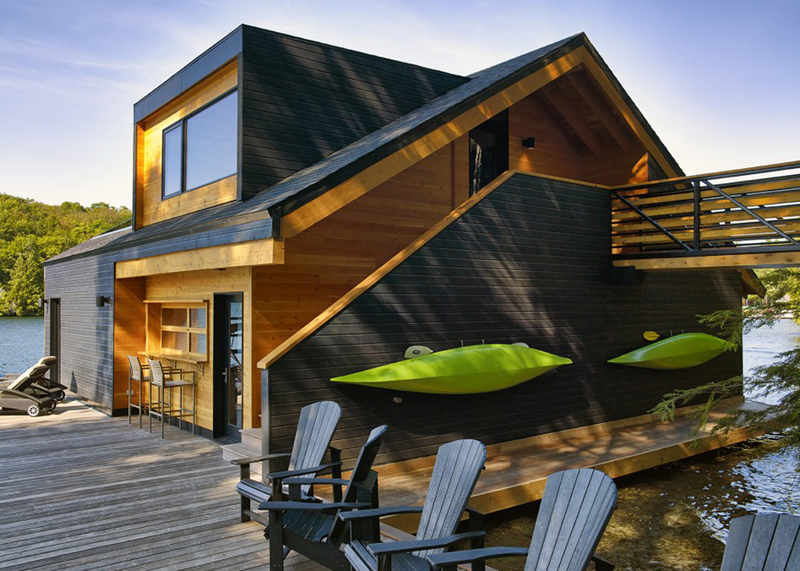 Dubbed Lake Joseph Boathouse, the contemporary wooden home features a stark black pitched roof and is connected to the land by a wooden platform and a wooden bridge on the upper level. 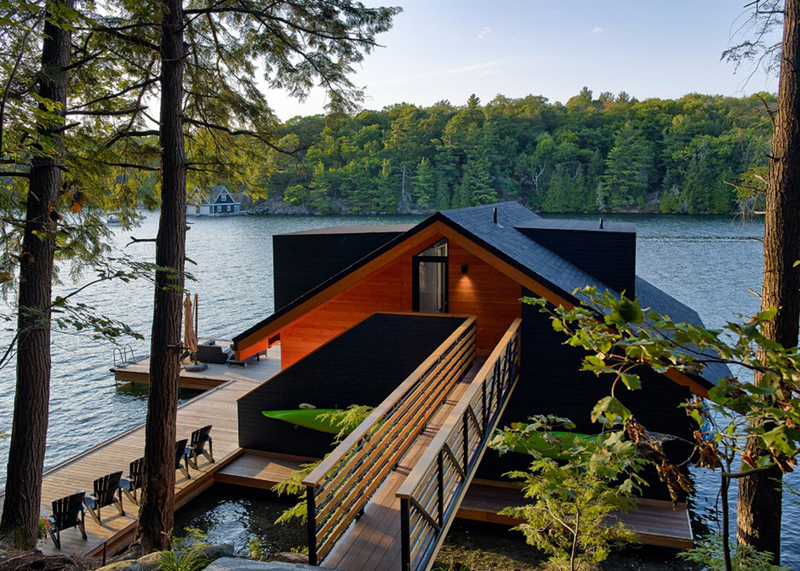 Although the overall design was driven by strict local guidelines, the architects have managed to create a magical weekend home designed to enjoy the beautiful mirrored waters. 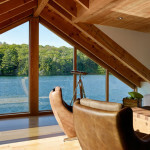 “Moored” on the quarries around Lake Joseph in Forestburgh, New York, this wooden boathouse is a tranquil getaway for its owners. 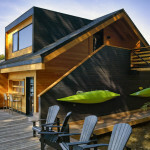 Conceived as a second home, its design was driven by stringent guidelines prescribed in the town’s zoning by-laws. But instead of feeling constrained by the rules, the architects used them as an inspiration while balancing comfort and economy in a creative way. The dwelling negotiated its building orientation, openings, sunlight, size and materiality, making the most out of its reduced living area and creating plenty of outdoors spaces to make more room. The large L-shaped patio can accommodate up to a dozen guests and has built-in kayak racks, other storage for water sports equipment and a small bar for eating outside. The shape of the abode is based on traditional northeastern cues, but it was updated with geometric features and a bold black color scheme with unpainted wood inserts. 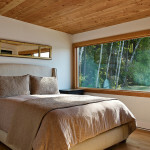 The cabin’s only bedroom occupies the rectangular extension of the building’s roofline, which comes out on both sides. 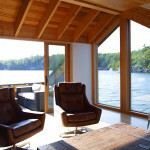 This was balanced with an element of subtraction at the front that forms a balcony for relaxing and enjoying the view. 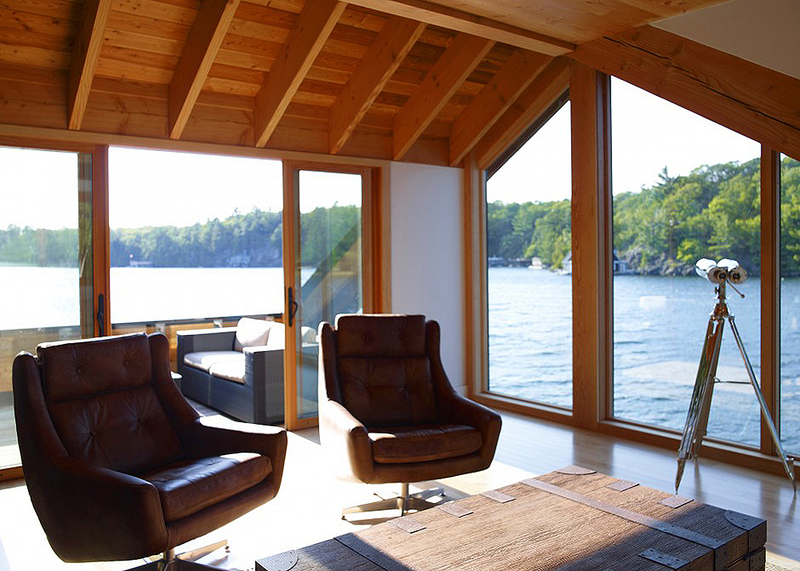 The living room mixes maritime and woodland décor styles, with windows placed on three sides to bring in sunlight, maximize the view and allow its residents a wonderful lake life. Find out more about Altius Architecture’s homes here.